Harris was selected to provide a countywide public-safety communications solution that serves more than 1,300 users in Hialeah, Florida. Harris will supply a Project 25 (P25) Phases 1 and 2 system to provide citywide coverage and services based on Harris’ VIDA platform. Hialeah dispatchers will use Harris dispatch consoles as well. 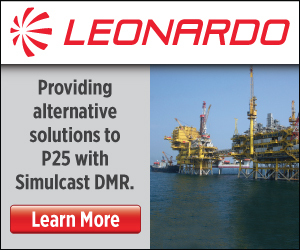 The contract includes the P25 Inter RF Subsystem Interface (ISSI) and long-term maintenance services. Hialeah will experience enhanced interoperability with Miami-Dade County and neighbor municipalities of Miami, Miami Beach and Coral Gables because all have or are in the process of installing Harris P25 systems, the company said.